Forums › Off topic › State have dating problems. but State, kept on take her money out the day before X. The would push her account into subzero and cause the bank to hit her with a $30 fee. She would then spent an hour on the phone with state telling them they had mad a mistake and that it won't happen again, but again it happened, so my friend said the f word and cancelled her policy. That was the 29th Nov.
One of the state phone people said they had been having computer problems. 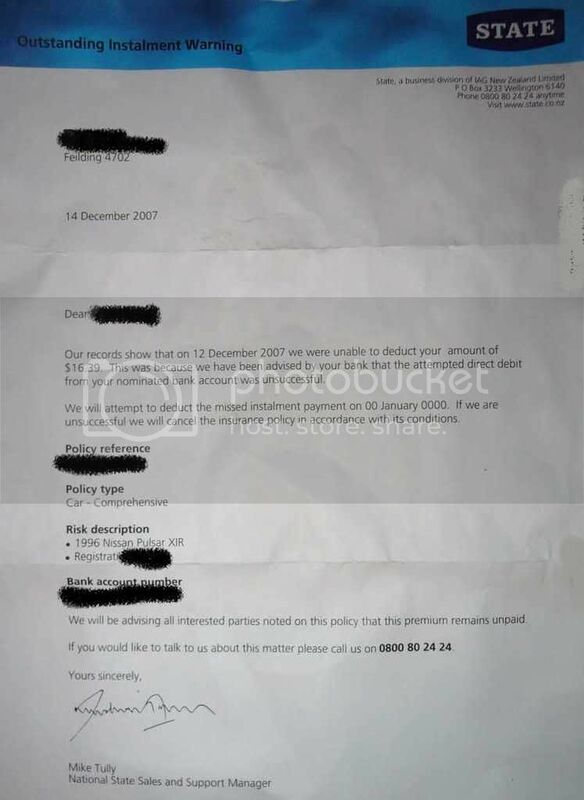 Then today state sent her the letter below, the records showed she had not paid, (maybe because the policy is cancelled) and that they will attempt to take the money on the 00th January in the year 0000. I worry she may get a bill from the bank for 2000 years of outstanding fees, silly or what.